Working with [Jason?] Ellis on settling the sun and earth seer photoelectric system. ------------ 27 July 1955 Moon aspect photocell ------------- (N.R.L.) 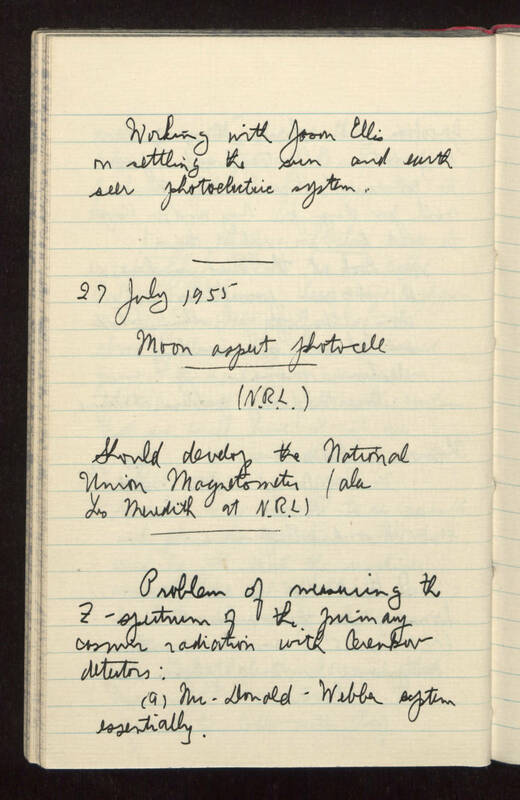 Should develop the National Union Magnetometer (ala Les Meredith at N.R.L.) ------------- Problem of measuring the Z-spectrum of the primary cosmic radiation with Cerenkov detectors: (a) McDonald - Webber system essentially.